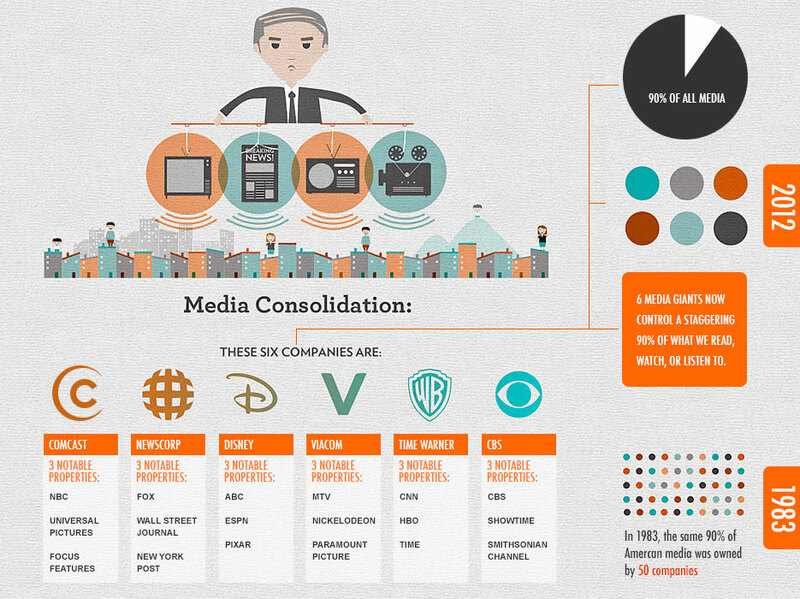 MSM is a cult run by six companies. 90% of MSM is liberal. They slant and spin stories they publish. Worse, they ignore important news frequently or downplay it. The graphic below shows what has changed since 1983. US academia is similar—90% liberal spin on almost everything. Both MSM and academia have become cults, subcultures with rigid totalitarian mores and taboos. If you do not agree with them, you will be fired or ostracized. Edit2/21: Today’s example of fake news: Huge Immigrant Riots Break Out In Perfectly Safe Sweden. By trying to make Trump looks stupid, MSM went on about how wrong his comments on Sweden were. Yet it is widely known that Sweden has significant problems with “refugees,” that Sweden hides this problem from the Swedish public and the world, and that you can lose your job in Sweden for merely disagreeing with their immigration policy. Here is a longer version of the above graphic.